Waht is the name for the type of jewelry that goes into a quadruple navel piercing? I’m talking about the type where four navel piercings connect together at a center. It’s generally a bad idea to do any form of orbital piercings (any piercing that goes through multiple holes) in the navel area. There is just simply too much movement to sustain the piercings for a long period of time and they will most certainly cause migration over a relatively short period of time. I have seen some in the past that were successfully done using small g23 titanium ‘chains’ connecting a central gem, which could work out fine (in theory) as each piercing can independently move freely - you do however increase the chance of snagging and irritation from this. Make sure ALL four of the piercings are FULLY healed before you even attempt to put in anything like that and stay well clear of any piercer that says they can just bend a barbell to go through them - your navel will not be a happy camper. I’ve had my navel pierced for about a year and a half, but in the last few months this red/brown are has appeared on the skin over the bar, although it isn’t covering the entire length of the skin covering it. It isn’t sore at all, it isn’t pussing or bleeding and I can’t feel any difference in the thickness of skin in front of the bar, but I was wondering if anyone had had this trouble before and if it is rejecting? If so, can I do anything to stop it or should I just take it out? It sure does look like its not a happy camper. The redness may eventually turn from red to translucent and thin out, often refereed to as rejection. It could be for a number of reasons, mostly irrational from either poor grade/shape jewellery or from constant knocks and bumps. My suggestion would be to get a good quality (internal thread titanium) curved barbell in there, something light and no dangley thingies. Try to figure out if it has been recently aggravated or pissed off in any way - and don’t do it again. I would say to try all of these before you decide to retire the piercing as it would be real shame. So my girlfriend wants to give me a navel piercing and make it permanent by way of soldering or supergluing the balls of a barbell. Which way is better/safer? If none, then how would I go about getting a permanent navel piercing? Permanently fixing jewellery can be a pretty bad idea, for a few reasons. 1- the bar usually needs to be downsized once healed. 2- if you knock or bump the piercing, sometimes you may need to put in a longer bar (to allow for swelling and cleaning). 3- if you got into an accident and your jewellery would need to be removed (x-ray, MRI, surgery, etc). 4- you’ll never be able to change it! I would strongly suggest against the idea, due to safety, however if you are going to do it - glue will work as you can’t solider surgical steel or titanium anyway. You could also get a semi-permanent piercing, like a dermal anchor. You can change the top, however the base will be ‘anchored’ into your body - resulting in a pretty permanent piercing, unless you want it removed. I think it would be totally fine to re-pierce it, as long as you get it done by an experienced piercer. It all depends on how ‘open’ the actual fistula (inside of the piercing) is. You may be better to get it professional tapered (stretched) back open. As always, make sure your piercer uses titanium jewellery. It’s 1/2 the weight of surgical steel and will heavily reduce the chance of it migrating or doing anything funny. It also comes in lots of cool colours! There is a possibility that piercing very close to your old hole can cause the two holes to ‘merge’, however an experienced artist will know if its doable or not and without a picture I can’t say. I got my navel piercing when I was 15 years old, and I am now almost 25. It has never once been infected, but every once in a while over the years, it gets sore/red/painful for a week or so. In the past couple years I’ve put on about 20 pounds, and the irritation comes more frequently. SO frequently, that I took it out, and let it “heal” a couple months ago. A few days ago it started the sore/red/painful thing again without even having a ring in it. I figured it was best to put the jewelry back in rather than have it seal in the infection, if that’s what it is. I have sensitive skin, so I only buy surgical steel rings, so that’s definitely not it. I even bought an actual circular ring instead of a barbel so it wouldn’t be too tight. ANYWAY, I just don’t really know what is wrong.. is it my weight gain? Could it be something else? I just don’t know why it would be doing this after months of not having a ring in. HELP?! difference. Salt soaks might help remove anything stuck inside. I have had these piercing for over a year now, and want to do a navel multi piercing project. Which jewelry styles/sizes can I use to accommodate the project without making it look too busy/stuffy? That would all depend on the aesthetic that you are after! Personally I never like to ‘join’ two navel piercings together, like if you are thinking of putting in a single barbell through both. There is simply just too much movement in that area for it to be a long-term advisable jewellery option. If I was your lovely navel, I would want perhaps a cute dermal anchor either side to complete the project. If you place them around an inch away from your navel, it will give a really complete and uncluttered look - I have done this a couple times professionally and think it looks truly stunning. 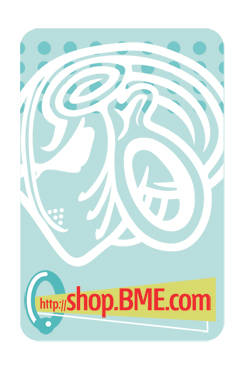 You could even check the bme shop for some matching navel bars to go with the anchors! I realise it’s proooobably a bit late to be asking this, but is my precious piercing at risk because of the antibiotics? Seeing as your navel piercing is just a barbell under your skin and not an infection, your antibiotics won’t harm the piercing. Bloody tissue from bottom hole of navel piercing? This is my third time getting my navel pierced. The first time, the piercing grew out. The second time, the top ball kept going inside the hole so I just took the piercing out. Now, on the bottom ball, when I move the bar a little, it seems like spongey bloody tissue is coming out. Also, there’s like a raised bubble around the hole. I’m just wondering what I should do, because the bloody tissue is really scaring me. Any suggestions? First of all, don’t be freaked out by the bloody tissue. The bump/tissue you are describing is not uncommon with navel piercings. They typically show up around the 2 months mark, but sometimes they show up later and sometimes earlier. Without seeing your piercing, I can only talk in very general terms. Very often, those bumps are a result of jewelry that does not fit well/right. The mechanical irritation keeps the piercing irritated, hence the bump/blood tissue. To figure out if this is the issue, a piercer would need to take a look at it. You didn’t mention what you were doing for aftercare, but cleaning too frequently and/or using something too harsh can also contribute to irritation. If you are doing anything other than sea salt/saline soaks a few times per day, it’s probably best to consider changing your aftercare routine. Another thing that many people miss is being sure to dry out your navel really well after you shower or soak it. Extra moisture can inhibit healing.